EdgeCast Monitoring Dashboard application conversion from PHP to Angular.js. Created multiple API's to service front-end monitoring systems. Topo JSON Heatmap, visualizing actionable geo-mapped network issues. Interactive D3.js Graphing framework, able to handle hundreds of lines to visualize big-data network trends. Candidate for VZ open-sourcing. Storage Monitoring system, built with angular.js. Founded and managed the iClub.fm music and iTunes podcast network while attending SDSU. Developed and managed the iClub.fm website, brands, SEO, iTunes production engine, and oversaw the network growth to over 6 million downloads. Sold in 2012. 2006-2011 - B.A. History Graduated with an emphasis in World War II History. Extracurricularly founded iClub.fm and toured the US and Europe as a Starry Eyed Music DJ. 2014 Fluent Conference Attended Fluent Conference in San Francisco, hosted by O'Rielly. 2014 Velocity Conference Attended Velocity Conference in NYC, hosted by O'Rielly. 2012 and 2014 Attended the annual Startup School lecture at Stanford University, hosted by the Y Combinator. April 2014 Awarded 3rd Place for CarBid. October 2013 - Treehouse Awarded the Deans List Badge from TeamTreehouse.com. One student is selected every month to receive this award for outstanding performance and community support/help. 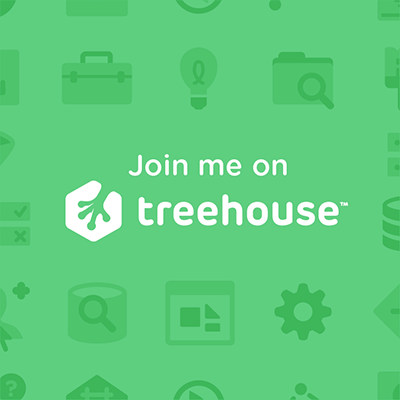 As a user of Treehouse I encouraged other students to learn how to code through sharing my own experiences, and helped create open source projects for the community to collaborate/learn. November 2012 Awarded "Most Creative" at Startup Weekend San Diego.